I’ve shown you the best 5 tips to improve fast your skills in table tennis. But how about the most common mistakes that you should avoid? Here are the 10 classic mistakes that you should fix as soon as possible. Learn from your own mistakes and from others. 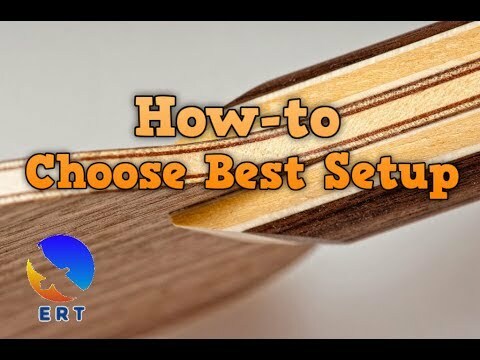 I also explain the best tips to correct these beginner’s mistakes. New players just stand to close to the table. So they don’t have enough time to react, to make a strong stroke. Standing too close is very bad. You can just only block, and push. So you can’t learn the proper footwork, you can’t make a good forehand topspin or a backhand loop. It’s all because of too close distance. So for me, standing too close is the #1 enemy of your table tennis. It’s the worst mistake that you can make! Avoid it at all cost. How to fix: Move one/two feet further from the table. Learn the correct ready position and standing distance. The optimal distance is 40-55 cm. How can you make a good shot if you hold the racket wrongly? Have a bad grip is like trying to learn guitar with the wrong finger position. You will never improve with that. The grip is so important in table tennis. It’s the place that you can “accelerate into” the ball. You can apply the pressure, and increase the speed and spin of the shots. With the wrong grip, you can’t topspin efficiently. How to fix: Choose the right grip (shakehand, pendhold, Jpen, Cpen). Learn how to hold the bat correctly, and learn where to put your fingers. Zhang Jike has a very good shakehand grip. You should learn from him. Holding the racket too tight is the common error of the beginners. New players are always too tense. It’s very bad too. You can’t accelerate! Your racket’s speed is slow. Too tense muscle will hurt and can make injury. Do you remember “Relax, Explode and Relax“? Your feeling and your capacity to return the spinny serve also reduce. How to fix: Relax more. Relax more! Change your grip! Chinese coach has explained this carefully. Why top players hold their racket loosely? The spin is the “heart” of table tennis. The slogan of pingsunday is “In Spin We Trust”. Without the spin, you don’t have the Magnus effect on your ball. Magnus effect is the only force that pulls the ball down during your topspin. How to fix: In every shot, think about “spin”. Try to add spin in every shot: your service, your push, your topspin, your sidespin chop, etc. Learn how to impact spin: with the right timing, good acceleration, and the right contact point. Many players just “reach” but not “move”. It’s very bad! You get stuck at the same level because of this very common mistake. Don’t lean and reach, but please move your feet. There are already 4 patterns that help you move (great footwork that you should learn). Bad footwork or hate moving the feet is the #2 enemy that you will never improve! How to fix: 4 patternsLearn the that help you move efficiently. Keep training at home, at any moment. Turn these into your good habit of moving, and playing like the pro. What is “E.J”? E.J is “equipment junkie”. The common “disease” of table tennis players. They change the equipment too often. Just focus on equipment, and don’t focus enough on techniques. This is very bad! #3 enemy of your table tennis. Constantly changing paddles will “remove” all of your good feeling of the blade. It is like dating. You need to get used to your weapon! Get the feeling, the confidence! How to fix: Learn how to choose the right paddle, the right rubber at the beginning. Understand your playing style! Understand the science behind the equipment before deciding to buy anything new. Learn about the pro’s equipment and understand why they use these setup. How to fix: Learn the right hitting position for each type of stroke. Topspin hit on the position 3 to 3.5. The racket position is (2,3). etc. Remember it and master it. The advanced player can read spin. While the amateur players can’t play with the spin. 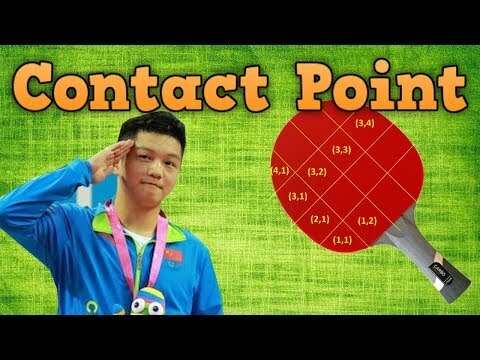 This is the main source of “unforced error” in table tennis. You can’t estimate the amount of spin, so you hit the ball into the net, or go out of the table. It’s your fault! How to fix: Learn how to read spin. How to serve, and play with the different type of spin. Strategy or tactics is the main reason that Chinese players dominate the world. You should know “where to attack the ball to”, how to change the pace of the game. Where to serve, where to return the ball. In general, it’s the planning. How can you win the point? If you continue to feed the ball that the opponent love? Or you just attack the ball to his backhand side (and he is a good blocker)? Do you know the 80-20 rules of table tennis? Do you know that on the table, there are 3 positions that you should always aim for? How to fix: Start learning about the tactics. This will open your eye. You will now understand that “table tennis is the chess game with the speed of light”. Know where to serve, and where to attack. And the final but not last mistake is not “having your own style”. It could due to your coach! That he didn’t guide you correctly! Maybe your coach didn’t know in the long run, how to develop your skill and your style. 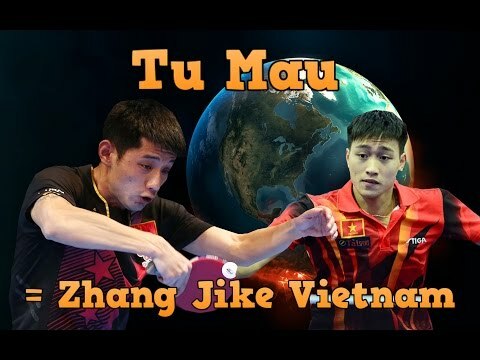 You can not play like “Ma Long” and “Zhang Jike” at the same time. They have a different style, and “micro-adjustments”. Some players have a good forehand topspin, but they don’t have a good “set-up” serve to attack. Some players have a good tricky serve, but don’t have a good weapon like a forehand smash, or forehand loop kill to finish the point. Or some players are backhand dominant players but don’t have a good reverse pendulum serve system to incorporate with. Or you have a one-wing forehand attacker, but your backhand flick is so weak. How to fix: Learn from the pro, the best players. They are the best “combo-style” that worked! That’s the reason they are the top players! Because their style works great and helps them win! So develop your own style with a good coach, and copy the pro’s style. Thank you coach. It is really important to change the bad habit of the beginners. Correcting these mistakes help us learn quicker.